A gentle, non-greasy body lotion that will leave skin feeling divine. Enriched with essential oils and olive oil, VitaBella Moisturising Body Lotion is easily absorbed and is the perfect finish after a relaxing bath or shower. 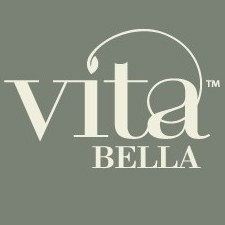 VitaBella skincare is produced in Italy and harnesses the unique properties of the local olive groves and aloe vera fields, handpicked for that added freshness. VitaBella Moisturising Body Lotion uses a combination of ingredients for maximum moisturisation that smell amazing and will leave your body soft and soothed. • Enriched with Apricot kernel oil which helps keep the skin soft, supply and elastic. • Contains Wheat Germ Oil ­which is rich in vitamins A, D and E to reduce skin drying. • Enriched with Macadamia nut oil - a deeply hydrating and nourishing oil that helps aid the skins natural barrier function. • Natural Aloe Vera Gel - contains over 200 natural compounds including 20 minerals, 18 amino acids and 12 vitamins, and has a soothing and anti-inflammatory effect. • Olive Oil - helps to moisturise the area and provide deep hydration and nourishment. • Wheat Germ Oil ­- rich in vitamins A, D and E to reduce skin drying. • Apricot kernel oil - contains a high concentration of vitamin e and rich in moisture, helps keep the skin soft, supple and elastic. • Macadamia nut oil - a deeply hydrating and nourishing oil that helps aid the skins natural barrier function. Apply VitaBella Moisturising Body Lotion sparingly across the body, concentrating on knees, elbows, or anywhere else you may be prone to dry skin. Aqua (Water), Aloe Barbadensis leaf extract*, Cetearyl Alcohol, Olea Europaea fruit extract* (Olive Oil), Triticum vulgare germ oil*, Glycerin, Cocoglycerides, Ceteryl glucoside and Cetearyl Alcohol, Lavandula angustifolia leaf extract* (lavender extract), Butyrospermum parkii*, Prunus armeniaca kernel extract*, Prunus amygdalus dulcis oil*, Sodium dehydroacetate, Sodium benzoate, Rosa Canina Extract (rosehip extract), Zea Mays (corn silk), Linum Usitatissimum (Linseed), Parfum (Fragrance). * From organic sources. I would buy this again if it was still on amazon but I cannot find it at present. This is lovely subtle floral smelling body lotion full of great natural ingredients. "I would buy this again if it was still on amazon but I cannot find it at present. "